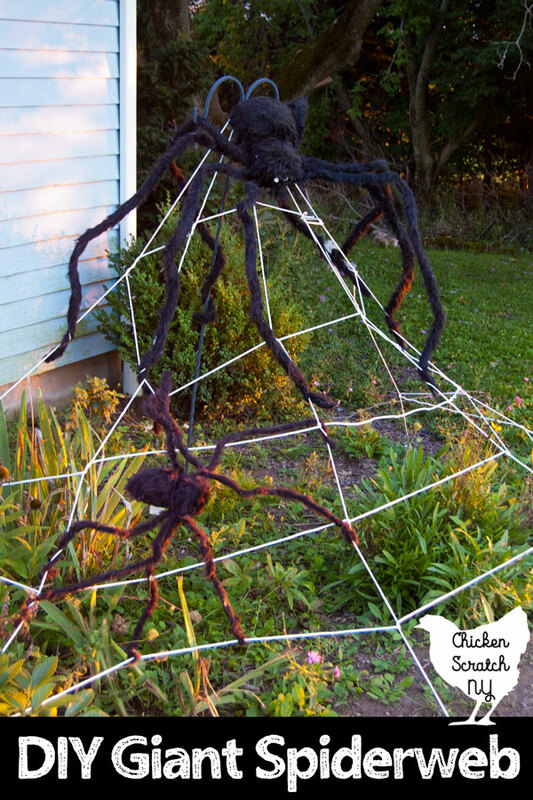 It is even Halloween if you don’t fill your yard with giant spiders? Certainly not at my house. 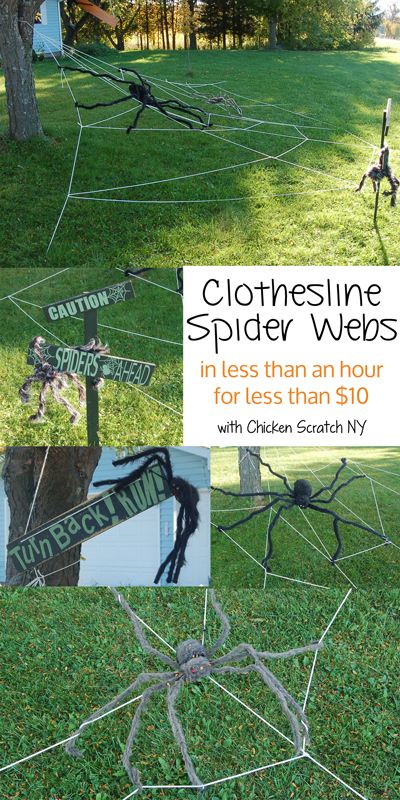 The Giant Clothesline Spiderwebs are one of the big projects I look forward to every year. After 7 years spiderweb making I’ve got this down to a science and this web took a grand total of 15 minutes, most of that unraveling the clothesline. 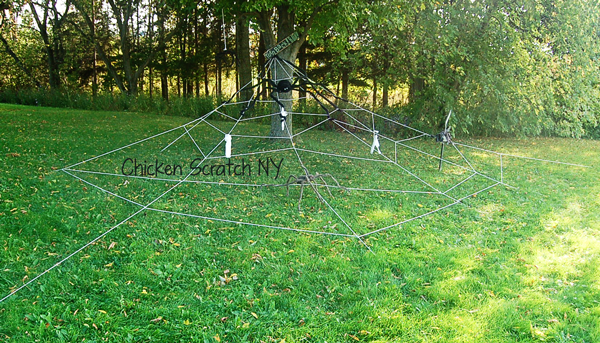 I bought 50 ft sections of clothesline, for this small web I used two. 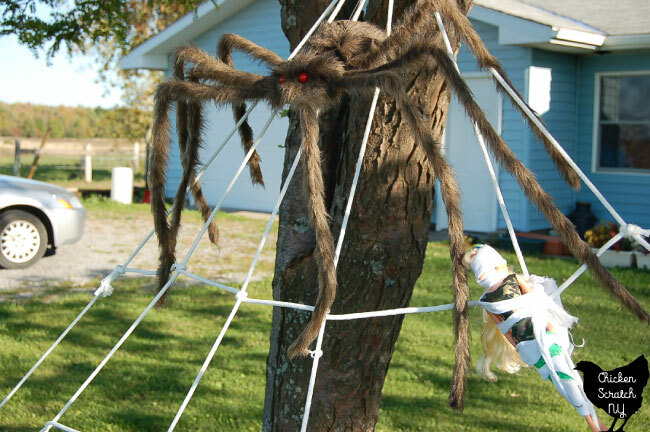 I used to put the spider webs on the lawn secured to the trees but that made mowing a mess. I’ve had them in the garden for the last few years and it works out well with all the other spooky stuff I put out here. The last thing you’ll need is something to hold the web up. In the past I’ve used the trees on the front lawn but this year I used a metal plant hanger garden thing. These pictures are from a year when I used the trees on the front lawn. 1. Find the top center of the web, this will be the tree branch or garden stake. You might need to tie a loop of rope to act like the center point for your web like I did here. When I use the plant stand I just run the rope right over it. 2. 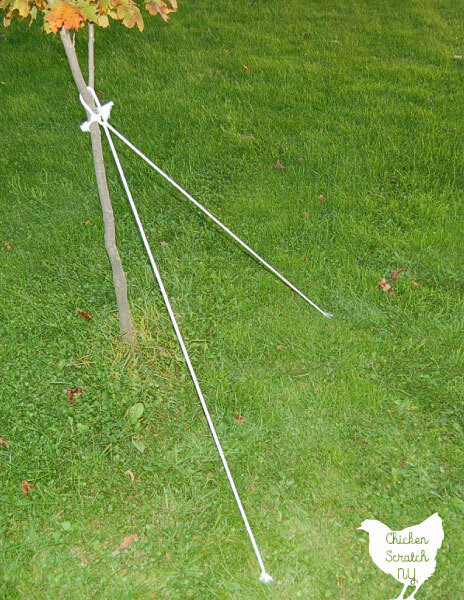 Tie the end of the clothesline to a landscape pin, walk to the end of the web and stick it in the ground. 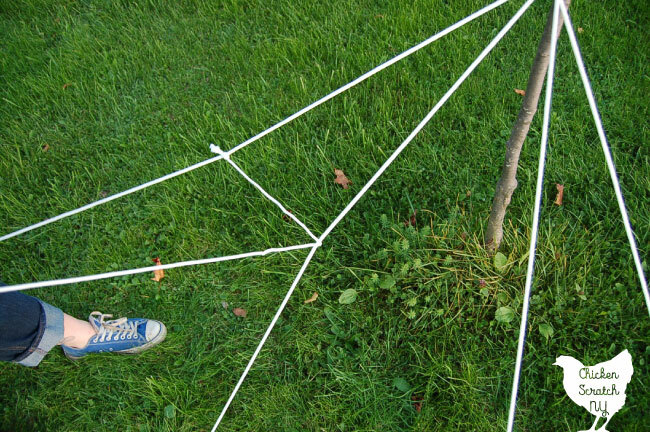 Run the clothesline over the branch or though the loop and walk out to the other end of the web. 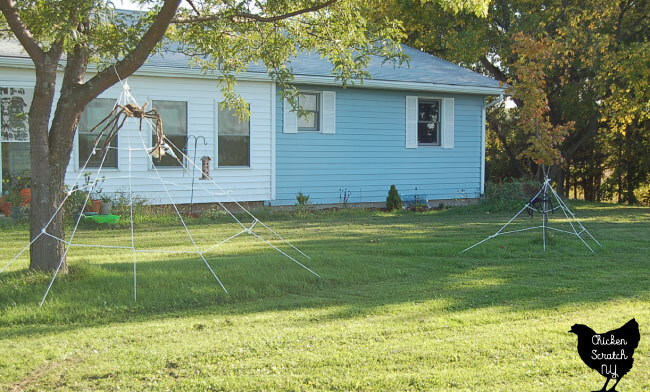 Cut the clothesline, tie it to another landscape spike and stick that in the ground. If you have trouble with the pins pulling out put them in so the top is angled away from the web. I usually to the outer most line first then work my way in. 4. Starting at the top tie the end of a new piece of clothesline to one of the outer web lines. Move across the web wrapping the clothesline around her vertical line as you go. You can tie them if you want but it makes clean up harder. I used to cut each horizontal line separately abut I got lazy and don’t do that anymore.I also think it makes it easier to reuse the clothesline for a few years. 5. When you get to the end of a row wrap it several times and then move back across. Repeat until you run out of clothesline or are happy with the web. Your web will probably going to look really loose in places but that’s ok.
6. Add any spiders you have. I like to wrap the rope around the legs, it holds the spiders in place and tightens up the web. Add a barbie or two for an extra creepy touch. 7. Go back through the web and slide the horizontal rope pieces around until things look tighter. The giant spider would be 8 ft wide if he was completely stretched out, he’s probably about 6.5 ft wide here, the yard stake is a little over 3 ft tall. The good news is I only got stuck in it once that year but I made it out alive. It’s funny how much the landscaping in the background has changed over the years! When I moved in it was 5 dead mums and a few trees, now it’s a chaotic mess of flowers. Oh my goodness, this is super cool! I LOVE the way it looks even though I would probably die if I saw the real deal lol! Great job! We are pretty off the beaten path so as far as I know I’m the only one who really gets stuck in it. My 2 year old nephew was over ‘helping’ and almost face planted in the web a few times but we all made it out ok! That looks so great on your lawn! You have the perfect tree for something like this! 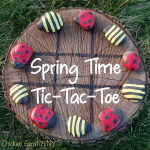 My kiddos would love it! The tree needs to earn its keep! I’m mildly allergic to it’s pollen and it leaves tiny little leaflets all over my car. This is how it makes up for it! 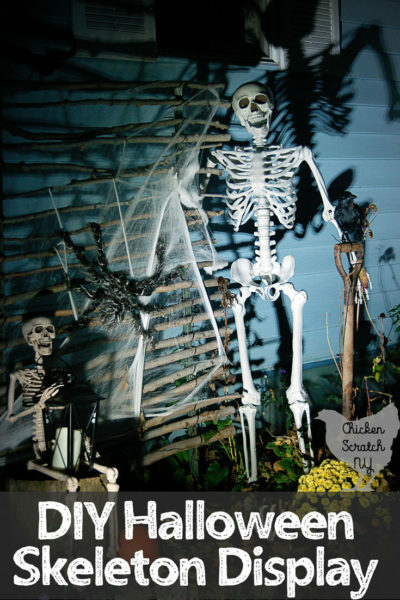 Halloween is by far one of my fav holidays to decorate for and this is amazing! 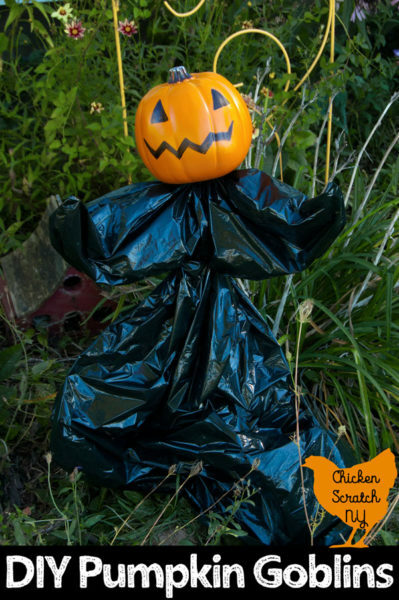 What a great inexpensive solution that will look even creepier in the dark on Halloween night. This feeds my phobia… I’m sure I’ll have night mares telling everyone about your creations! one thing learned quickly is after you have your vertical lines start at the top and work down not vice versa. I even put a few stretchy spider webs on it to make it show up better. Probably will put string of white lights on some of the webbing and purple lights on the large spider. 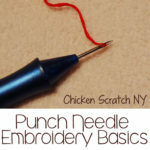 Great idea and easy to do.